Discovery Channel's list of "Shark Week" programming next month includes a July 23 show titled "Phelps vs. Shark: Great Gold vs. Great White." Discovery Channel's list of "Shark Week" programming next month includes a July 23 show titled "Phelps vs. Shark: Great Gold vs. Great White." 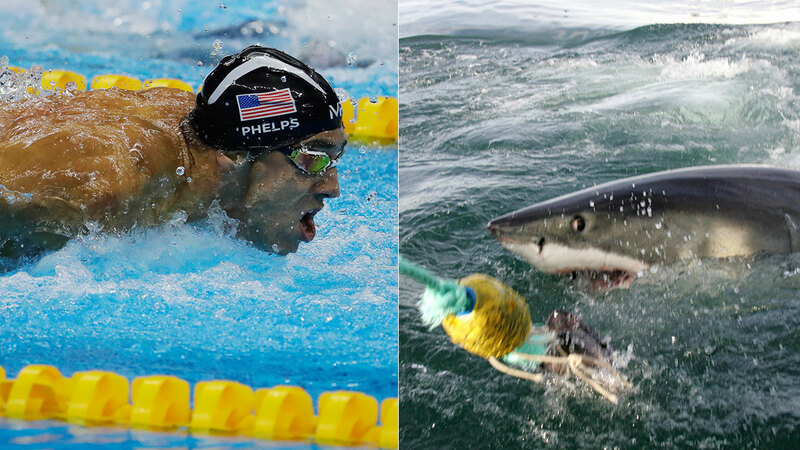 Discovery Channel billed it as "an event so monumental that no one has ever attempted it before" and added that "the world's most decorated athlete takes on the ocean's most efficient predator: Phelps V Shark - the race is on!" Discovery Channel officials didn't immediately respond to a message seeking additional information.